Regina Shen lives in the swamps on the seaward side of the wall of the World Federation. Regina is one of the “marginals’ who survive beyond the help of the government. But the government is experiencing some difficulties. The world of only females is having trouble reproducing. The DNA that has helped society continue has degenerated so that the species is at risk. The Federal agents are testing the marginal girls and have found two with a viable DNA… the Shen sisters, Regina and her younger sister, Colleen. The girls are on the run from a hurricane and the Federal agents, especially the Department of Antiquities Chief Inspector, DeMarco. DeMarco sees the girls, especially Regina, as her ticket up the power chain. Regina is intent on finding her missing mother and sister. She keeps going back into danger, desperate to find Colleen. DeMarco has resources including the government technology of tracking devices, power boats, weapons and a network of marginal traders who barter everything they can, including girls. Although she is hot on her heels, Regina, with her affinity for the swamps, continues to evade capture. Regina finds friends along the way who help her survive until she returns to her beloved teacher Mo-Mere. Mo-Mere was once within the walls until they cast her out. She knows that Regina is special and she wants to train and prepare her for more. Regina isn’t one to sit and hide. She wants to be out salvaging and helping to carry her own weight. But how can Regina stay with her friends without putting them in danger? I like Regina’s strong character even though she is young, impulsive and makes foolish mistakes. She is also resourceful and caring. She is lucky to find good friends along her journey. DeMarco is a villain you like to dislike and I kept hoping she would meet an unpleasant fate. There is some repetition of the circumstances and it seemed like Regina was often more worried about food than getting to a place of safety. Granted she has to get food and water to survive but it just seemed like too much emphasis to me. (Then again… it is YA which sometimes pushes my patience.) Other than that, the writing flows well and has good pacing with tension building action. I like how Regina is becoming a symbol of hope for the marginals. Still, she is in constant danger of betrayal or capture. 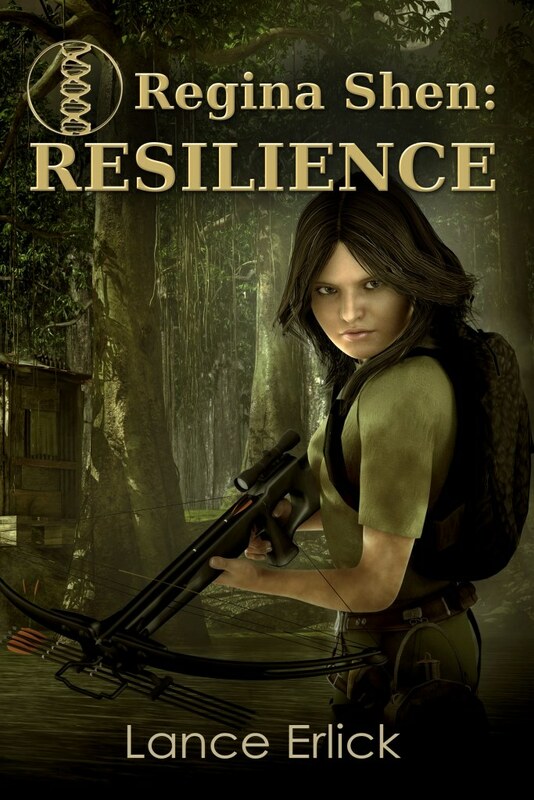 I am looking forward to continuing the story in a week with book 2, Vigilance. This entry was posted in Regina Shen Series, Science Fiction, Thrillers, Young Adult and tagged abrupt climate change, dystopian, future, Regina Shen, science fiction, survival, suspense, thriller, young adult by flwq1578. Bookmark the permalink.